Welcome to the Productive Professions Interview with Dr. Rashid Akhtar. We hope to inspire our fans to pursue professions that are beneficial to the Ummah, and cultivate skills that are useful in society. 1) Let’s start at the beginning. Can you tell us what motivated you to choose medicine at university and how did you find it? I come from a medical background, and have many members of my family who are doctors – and I had always felt that medicine involves a lot of hard work and effort that goes unrewarded both financially and personally. Why would one put themselves through such grueling training in medical school and then further difficulties and stress as a junior doctor, all for a rather mediocre salary? It didn’t appeal to me. It turned out that I did pretty well in my GCSE’s and with my interest growing in biology and the sciences, my perspective changed. The IT work experience really helped me understand that there’s no need to shy away from hard work in order to get to a position of success – regardless of career choice. So the difference between jobs was the satisfaction – and medicine would provide me with this. Helping patients, diagnosing, prescribing appropriate medication, performing procedures – all of these things make active differences to peoples lives day in and day out. The fact that I would be getting paid to do this would just be a bonus. So medicine turned into something attractive to me after I realised the impact it can have on one’s self and humanity. 2) What were some of the best highlights of this journey? I think the best highlight of having studied medicine would be that you spend six whole years at university, being a student. Another highlight is the mixture of being actively trained to be a doctor, whilst spending time forming life long friendships with both medics & non-medics. 3) What are some of the challenges you faced when studying to become a doctor and how can a Productive Muslim learn from such mistakes? The above three are applicable to all professions and not just medicine. You can never be too organized. Spending a few minutes prior to your tasks in the day could be the key difference between you achieving what you actually wanted to achieve, and not having accomplished anything at all. Dividing time between studying and personal work is also tricky. Know that when it comes to exams you will inevitably have to compromise some time from family and from Islamic work to focus on getting the top marks and grades. You should never underestimate getting the highest grades in exams – when done with the correct intention, it is something that can be more pleasing to Allah [SWT] than the more obvious da’wah work, etc. One needs to appreciate that by ensuring your personal education and success, you will be in a position by which to further strengthen the Ummah and give back to the community, and insha Allah further pull others out of poverty. 4) Can you tell us about the skills you’ve developed as a doctor and how have they been useful in and outside your profession? There are several skills one needs to possess as a doctor, and it is no secret that it is for these very skills that doctors are a sought after group of professionals by the finance and management sectors. 5) For someone who is considering the medical field as some of our fans are interested in this area, can you sum up a typical day in the life of a doctor? The life of a junior doctor is relatively straightforward and similar on a day to day basis. The day usually starts off early – if you’re on a surgical rotation then Ward round usually starts at 8 a.m. As a junior doctor, it would be your duty to arrive 30 minutes before your shift to make sure the patient list is updated, and making sure you have the most recent set of blood results/imaging investigation reports with you. You would then print the list, wait for the consultant or registrar to come and then go round to review all the patients on the list. During the ward round it would be your job as the junior doctor to make sure you present all the patients to the seniors, as well as writing in the notes, and casting an eye on the observation charts/drug charts. You would be mindful during the ward round to make a list of all the jobs that were created for each patient as you went round – and at the end of the ward round you would then go about acting upon all those jobs. You would also be carrying a bleep, so should any patient become acutely unwell – you would be contacted as a first point of call to come and try stabilize the situation. Towards the end of the day you would run through your jobs making sure there were none outstanding, and then you would re-update the list, and check the blood results of the patients for that day as well as put out blood forms for the patients you felt were relatively unwell and required monitoring of their blood count/inflammatory markers. It is unlikely you’ll have finished all your jobs on time. Due to numerous other tasks and jobs you must do during the day – lucky if you leave on time – ready for the next day to start – and to continue where you left off. Although the above may sound relatively mundane, and at times it can make you question your usefulness as a doctor, there are plenty of times when there are incredibly unwell patients – and the scary part of it is – you are the only one there to try and prevent them from passing away – by assessing them promptly and efficiently and then using your clinical knowledge to make a judgement about their diagnosis and what treatment to administer. You’ll also have lots of time ‘on-call’ or in A&E – being the first doctor patients see when they come in to hospital, and this can be quite rewarding – seeing your diagnostic and management skills come into use when taking care of a patient from start to finish. 6) Imagine balancing the demands of work life with that of family and social as well as spiritual life is a challenge. How have you managed to do this? Getting the balance right with time – requires a well thought out and planned routine. A mixture of actual dedicated time to spend with family (perhaps after maghrib or after dinner), for spiritual development (maybe before bed every night), for academic work (how about an hour or two after Asr everyday?) and for physical activity – how about playing sports once a week, or going to the gym twice or thrice a week? A person with a balanced routine is more likely to be a successful, healthy and an efficient leader – in comparison to someone who is all work and no play, or all play and no work. 7) What are the most significant productivity lessons you’ve learned during these past couple of years as a doctor that ProductiveMuslim readers can benefit from? The most significant lesson I have learnt, and that I would like to pass on is that the life we have been blessed with is incredibly fragile. I have come across countless numbers of patients my age, if not younger than me, with severe debilitating illness that has changed the course of their lives forever. And yet they were like me – ‘normal’ a few days before I had the unfortunate opportunity to meet them in the hospital – as a doctor. Our health is something the majority of us take for granted – but more so than health – its our expected attitude that we will all live till we are 80-100 and die a peaceful death. That is not the case. Sadly, the reality is that none of us expect to die but eventually that is what is going to happen – so if it is the only other certainty in life apart from birth – why are we not more prepared for it? Why do we not live our life on a day to day basis with the knowledge of making ‘the most’ of it – and by this I mean productively rather than in the hedonistic sense. So the most significant lesson I would have is to be mindful that every minute of every day counts. Use it wisely because we will not get those minutes back – yet we will be held accountable for it. 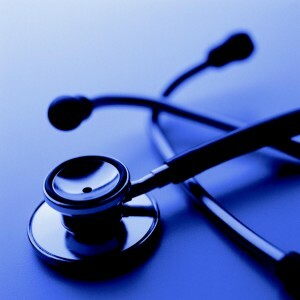 8) Any final tips or advice to our fans out there who are keen to pursue a profession in medicine? Make sure you are well prepared academically – this is the bare minimum. Everyone who applies nowadays has got a million A*s and GCSE and A levels. You need to have things on your CV that make you stand out. Make sure you prepare well well well in advance for the specialist exams – like BMAT or UKCAT. Make sure you try get extensive work experience. Make sure you have something on your statement that makes you unique – maybe try and get involved in some lab research so you can get a publication or a national/ international presentation. Read research journals, and maybe even write your own review article which summarizes the findings of similar research from across the world. All of these things are actually relatively straight forward to do – and will make you stand out – but they do require time and effort – whilst your friends may be enjoying themselves. What you must always remind yourself of though, is that little bit of hard work while you are 16/17/18 will actually pay huge dividends when you are older. At the end of the day, remind yourself your intentions behind the success – to please Allah [SWT] and your parents, to uplift the Ummah and to prove to yourself that you can achieve to the best of your potential. Dr. Rashid Akhtar is a 25 year-old doctor currently working in the National Health Service (NHS) in London. Having obtained excellent grades at both GCSE & A-level, he went on to study Medicine at UCL, graduating in 2010 with MBBS and BSc (Hons) in Pharmacology. He is a keen lecturer/ teacher and founder of the ‘Make Me a Better Doctor’ teaching course for medical students.